Mimal is applying to the Federal Government to establish a new Indigenous Protected Area (IPA) in south central Arnhem Land in the Northern Territory. Indigenous protected areas are a vital part of Australia’s system of national parks and reserves, protecting the nation’s biodiversity for the benefit of all Australians. They recognise Indigenous rights to manage country while promoting biodiversity and conservation outcomes through the National Reserve System. There are currently 75 IPAs across 68 million hectares, the area equivalent to ten times the size of Tasmania. They make up more than half of Australia’s protected areas, including some of Australia’s rarest and most fragile environments. Australia’s National Reserve System aims to protect 17 per cent of bioregions in Australia by 2020. The proposed Mimal Indigenous Protected Area covers 18,300 square kilometres (1.83 million hectares) in the geographic centre of Arnhem Land. The region is home to the Dalabon, Rembarrnga and Mayili people, who hold an unbroken history of land ownership and management. Their traditional connections to country remain largely intact and many landowners either reside on or spend long periods at outstations. The area is covered with places of significance, including rock art sites, dreaming lines and sacred places linked to spiritual ancestors. The proposed IPA features a network of large rivers, including the headwaters of the rivers flowing into the Gulf of Carpentaria including the Rose, Phelp, Wilton and Mainoru. The region also features the north flowing rivers, Mann, Blyth and Goyder, along with the headwaters of the Arafura Swamp catchment. Its biodiverse landscape includes grassy plains (ruwurrno and rorrobo), woodland and forest areas (berrhno and mininyburr), freshwater country (djula and wah) and rock country (badno and ngalwad). Across the area, nine species are listed as threatened, including the Northern Quoll, Gouldian Finch and Leichardt’s Sawfish. Two curlew species are listed nationally as critically endangered, three species are listed as endangered and 12 as vulnerable. The area’s natural and cultural assets are managed by Mimal Rangers on behalf of and in cooperation with landowners and custodians. Under an established Healthy Country Plan, the rangers manage land, water and fire, and conduct wildlife protection, monitoring and revegetation programs, weed and feral animal control, and carry out rock art, cultural history and language projects, and learning on country education programs with school children. The proposed IPA includes 1,240 square kilometres (124,000 hectares) which overlaps with existing IPAs including Warddeken, Djelk and South East Arnhem Land IPAs. It also shares a boundary with the Arafura Swamp Rangers Aboriginal Corporation and the Australian Wildlife Conservancy’s Wongalara Sanctuary. The Mimal IPA would add significantly to national conservation and, in conjunction with neighbouring IPAs and sanctuaries, substantially increase the reservation of the Central Arnhem bioregion and create one of the Northern Territory’s largest Indigenous-owned conservation corridors. The work of Mimal Rangers is out of sight for many, but it delivers vital life services such as clean air and fresh water. Managing the land and fire, and removing weeds and ferals keeps important plants growing strong so they can produce the very air we breathe. Controlled burning and fighting wildfires reduces smoke and emissions, helping to ensure the air we breathe is fresh and clean, and reducing the impacts of climate change. Removing feral animals protects springs and waterways that feed into the rivers that flow into our water supplies. Six months after feral buffalo were fenced out of Weemol Spring, the degraded wetland sprung back to life - the water became clear and clean, and native plants began to regrow over the bare and muddy banks. 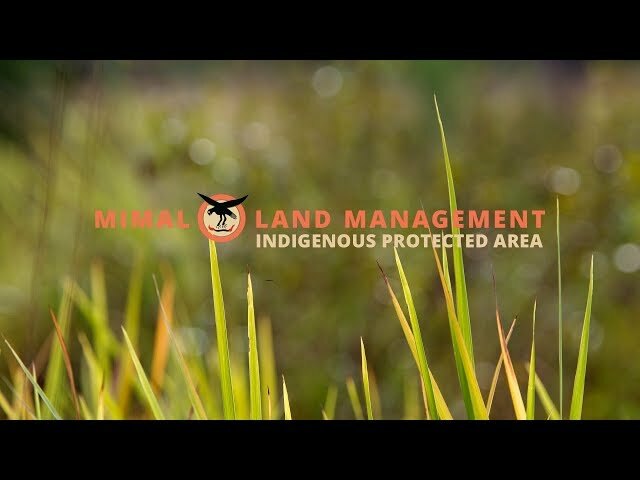 Mimal Land Management’s ultimate goal is to protect country and culture. We protect country through land, fire and water management, by managing and removing feral animals and weeds, and through working with our neighbours. We protect culture by through supporting communities and elders to conduct ceremonies, through our language projects, by recording stories of our elders, by looking after special places and recording rock art. 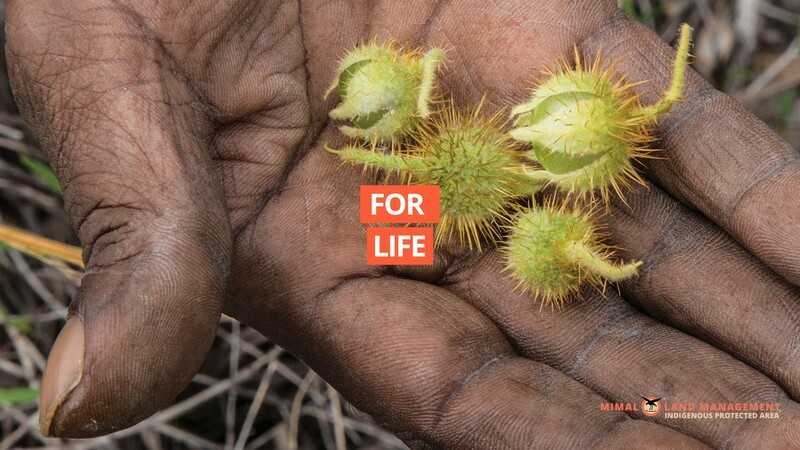 We believe Indigenous Protected Areas are also vital to protecting country and culture. It’s why we want to declare an IPA over the area we manage. IPAs have become a important part of Australia’s parks and reserves system over the past 20 years and we support calls for guaranteed IPA funding for another 20 years.